Coheed & Cambria in Montreal or Quebec City? Inform me about the next events for Coheed & Cambria. Enroll yourself to our priority waiting list for Coheed & Cambria to be alerted when new tickets are available. Filling this form doesn't engage you to any purchase. 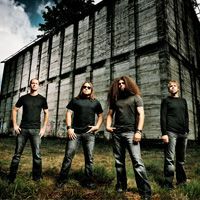 Coheed & Cambria will be at the Metropolis, in Montreal, on May 18th, 2010. This Coheed & Cambria concert in Montreal will be part of the band's North American Tour to promote their upcoming new CD "Year of the Black Rainbow", which is due out April 13th. Circa Survive and Torche will also be on hand at the Metropolis.